Are you a history lover? Do you like to explore places in UAE that reflect a place’s cultural record? Well, Dubai has a rich culture and a great historical background which is reflected in its structures. There are many historical monuments and other establishments which as a tourist, you will totally love to visit. In Bur Dubai lies the old Bastakiya district and it has the essence of old Dubai, as opposed to the main city which is marked will tall towers and skyscrapers. This district has narrow lanes and wind towers. You can also see the old traditional courtyard houses. These houses show how people in the olden times used to live. What’s more! The wind towers are a beauty though they did not really exist for decorative purposes but were the only way to cool houses, before Dubai had electricity. The Dubai Museum is the ideal place to be if you want to know about the cultural heritage Dubai. The place was actually a fort which has been converted into a museum and is open for the tourists to know the roots of this place and know about the pearl diving practices, the old Arabian houses, the Bedouin life and so much more. 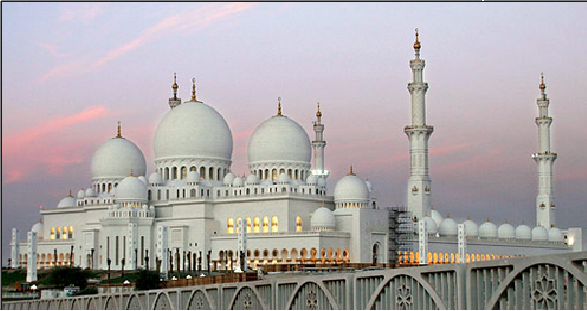 An important place of worship that it is, the Grand Mosque has always been of great significance. It is the city’s tallest minaret and has stained glass panels which add to the beauty of the monument. It has become an important landmark in the city and is definitely worth visiting. For a culture enthusiast, these are some places that shouldn’t be missed. It is quite interesting to see the cultural part of a city which is often regarded as the city of malls and tall buildings.